Dirty Bomb makers Splash Damage are building to an “aggressive release cadence” since splitting from publisher Nexon earlier this year, where “a lack of support” held the game back from growing faster. Speaking to us last week, Splash Damage’s marketing director Jeremy Greiner explained that the game’s team has tripled in size thanks to the studio’s new owner, Leyou – a chicken meat company. For more free games, we think these are the best free games on PC. 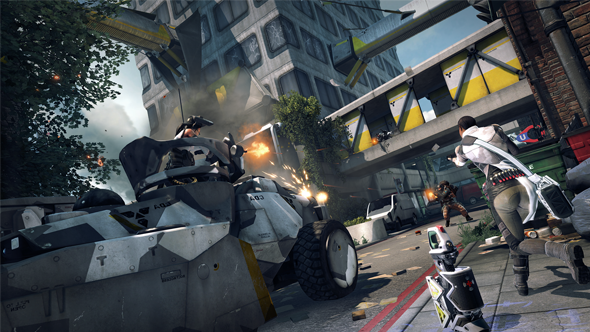 Back in February, Splash Damage announced it had bought back the full rights to its free-to-play shooter Dirty Bomb. In the past two months, we’ve started to see the effect of the deal: the studio has released two new maps, a new mercenary, and switched out the old anti-cheat system to one that is much more effective at blocking hackers. Splash Damage’s Greiner explained to us that the buyback was driven by two things: Dirty Bomb’s development had become “stale” at Nexon, and the money from Splash Damage’s new owner meant it could afford to invest in the game itself. That is now in the past. Since the buyback in February, Splash Damage’s recent spate of new hires means Dirty Bomb now has more than 60 people working on it full-time. But the proof of the game’s more secure future isn’t in the numbers – it’s in the content released in the last few months. Separate to new maps and mercenaries, the team is working on a new feature that should make the game more welcoming to new players (and old ones, too): “The team is committed to shipping casual matchmaking this summer,” Greiner says. There are new progression systems in the works, too, and the team is going through what has already been released to see what can be improved. With the release of Vault in June, Splash Damage took another map, Dome, out of map rotation “for a full refit” based on what players have been saying for the past year. That should then be re-released later this year. 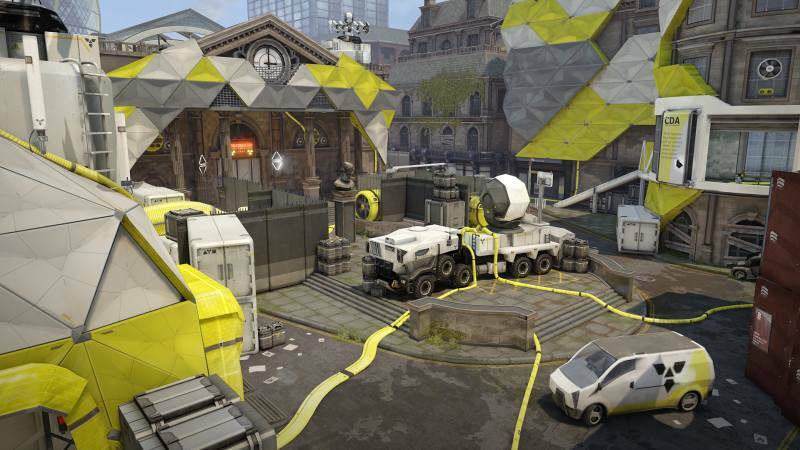 While Dirty Bomb has already been out for two years, with this new trend of updates and a release on Steam in China due later this year, we could be witnessing a huge a turning point for the game at long last.